It was Sir Henry Wood who christened The George Pub (on the corner of Great Portland Street and Mortimer Street, in central London) 'The Gluepot' because his musicians so often got stuck there, and the name stuck. Adjacent to The Queens Hall and not far from the BBC, it formed a meeting point for musicians and artists during much of the 20th century. Elizabeth Lutyens once wrote that if a bomb had been dropped on The George, it would have wiped out much of the British musical profession. The list of habituées is quite remarkably varied (from Lutyens and Humphrey Searle to William Walton, John Ireland and Arnold Bax). 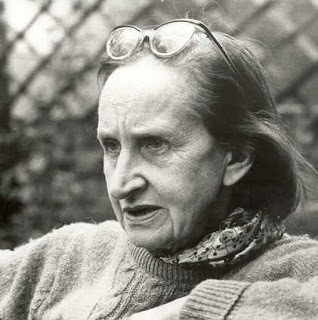 Not necessarily all at the same time, of course, but there are intriguing linkages such as William Walton funding Elizabeth Lutyens' first commission, or Isabel Nicholas being married first to Constant Lambert and then to Alan Rawsthorne, both Gluepot habituées. 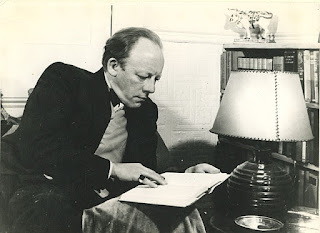 (Nicholas also had affairs with Jacob Epstein, Alberto Giacometti and, supposedly, Francis Bacon). 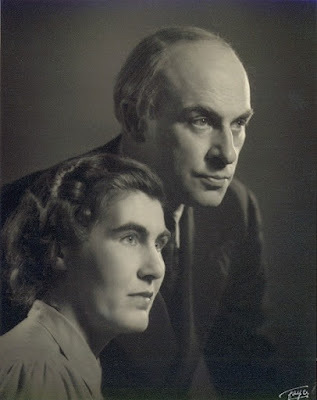 It is this connection which links the composers on the choir Londinium's first disc, The Gluepot Connection, an exploration of the unaccompanied choral music of this fascinating group of composers. The choir, artistic director Andrew Griffiths, recently had their recording sessions in All Hallows Church, Gospel Oak (with recording engineer Adrian Peacock) and I went along to listen, and to chat to Andrew Griffiths. During the 2016/17 season the choir has been exploring the music of composers with a Gluepot connection and the recording sessions are the culmination of this process. Andrew explained that there were a remarkable number of composers to choose from, John Ireland, William Walton, Humphrey Searle, Constant Lambert (who was the life and soul of the party but, alas, wrote no unaccompanied choral music), Elizabeth Lutyens, Alan Rawsthorne, Alan Bush, and perhaps Peter Warlock, EJ Moeran and Frederick Delius (who definitely used to dine regularly at Pagani's Restaurant round the corner). Andrew has tried to select music from the Gluepot period (1920s to 1950s), though this has not always been possible. Andrew feels that the composers in the list provide an interesting view of mid 20th century British composers, an alternative to the Britten/Tippett axis, and it is a varied mix from Ireland, Walton and Bax to Humphrey Searle and Elizabeth Lutyens. Andrew calls the Rawsthorne pieces on the disc 'bracing' and neither the Bush nor the Rawsthorne pieces have been recorded before. This is an important point, the choir celebrated its 10th anniversary last year and the recording is something of a 10th birthday present. It could easily have become simply a vanity recording, but the distinctive repertoire and the first recordings makes them feel that the disc is adding something. 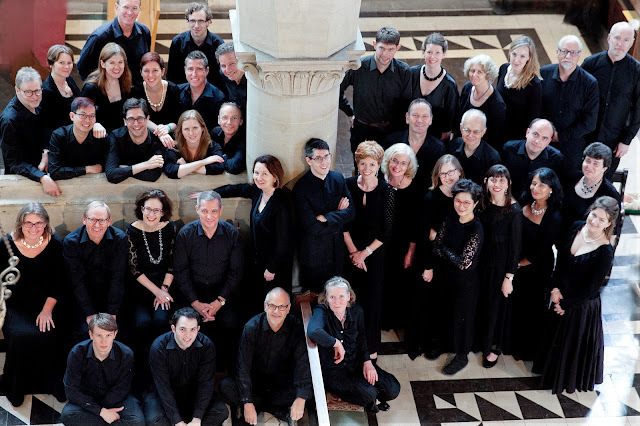 As a London-based choir, the connection of all the pieces with such a London location is very apt, and there are additional links. Walton's Where does the uttered Music go? (with a text by John Masefield) was written in 1946 for the dedication of the Henry Wood Memorial Window in the Musicians' Chapel at the church of St Sepulchre without Newgate, which is where Londinium regularly performs. Whilst I was at the recording session I overheard them recording John Ireland's The Hills which is a very traditional part-song like piece. Written by Ireland in 1953 in honour of the Coronation, it feels rather old-fashioned for the period yet beautifully crafted. By comparison, Alan Bush's Like Rivers Flowing (setting words by his wife Nancy) was written in 1957 but feels much more adventurous, even though Bush is writing accessible music it has his distinctive voice. The Gluepot Connection is being recorded by Londinium, conductor Andrew Griffiths, for issue on the Somm label in March 2018 (recording engineer Adrian Peacock). The repertoire for the disc will include Arnold Bax: Mater Ora Filium & I Sing of a Maiden, Alan Rawsthorne: Four Seasonal Songs (first recording), William Walton: Where does the uttered Music go?, E J Moeran: Songs of Springtime, Alan Bush: Lidice & Like Rivers Flowing (first recordings), Frederick Delius: On Craig Ddu, Elisabeth Lutyens: Verses of Love, John Ireland: Twilight Night & The Hills, Peter Warlock: The Full Heart.